The first lamb of the year was born on Thursday. 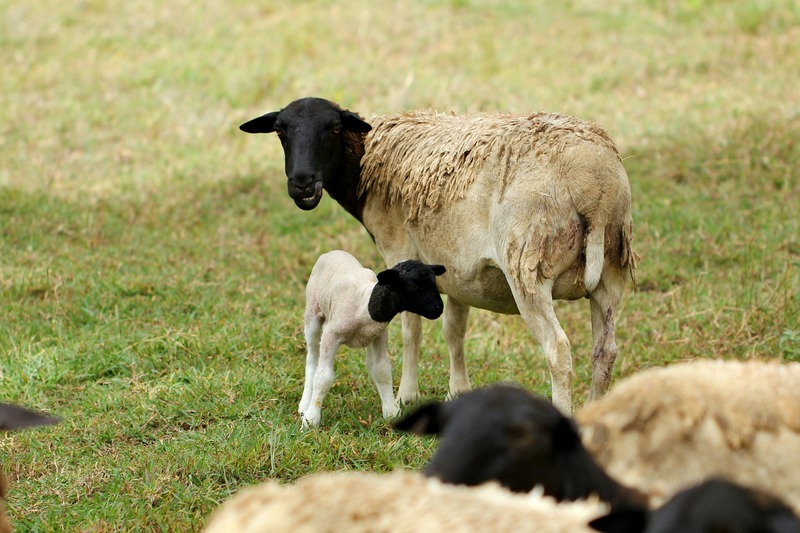 Sage went into labour at lunch time, and less than an hour later she had delivered this long legged little ram lamb. I couldn't think of a name for him, so I decided to ask for suggestions on Instagram, and have chosen Rocket. I think it suits him. The next ewe to lamb will be Minty, although I suspect that the next animal to give birth will be Missy-Moo. We moved her into her calving paddock this morning as her udder has filled and she's got all the other signs of an impending birth. It's exciting. Sage is the least quiet of my sheep, in fact she has a bit of a wild streak so I'm unable to get too close to her little one for too long. I was thinking of moving Sage on, due to her nervous temperament. She's a challenge to handle, especially around lambing time, but as my sister pointed out it would be hard to find a good home for her. Here Sage is handled with patience, her oversized flight zone is respected, even if it means getting her into the shed can take three quarters of an hour when she's got a newborn lamb in tow. In another place she may be handled in a way that would cause her more anxiety and stress, and so I think she must stay here. So far she's had two beautiful lambs, and she's a challenge I don't mind keeping. I think she'll always be nervous, though, because after almost a year of being here she still isn't relaxed. The lamb she had last year is now lovely and quiet however, so little Rocket should become friendlier with age too. I hope you've been having a good weekend. It's been very cosy and Autumnal here, and a little damp too. Ahh, Rocket is so cute! We had a dog once that was shy like that. She wouldn't let us get close to her, outdoors. But once she was in her pen, she would let you do anything. Strange! Good for you for keeping Sage. Maybe she will mellow out with age. A lovely little ram :) I can totally relate to your sheep though, just like her I am nervous and anxious and if I were Sage I would be happy that I am in a place where people respect me and my temperament. Gorgeous pictures. I love the second one where Sage looks like she's grinning with pride! Hi, lovely sheep. Are they black faced Dorper's? 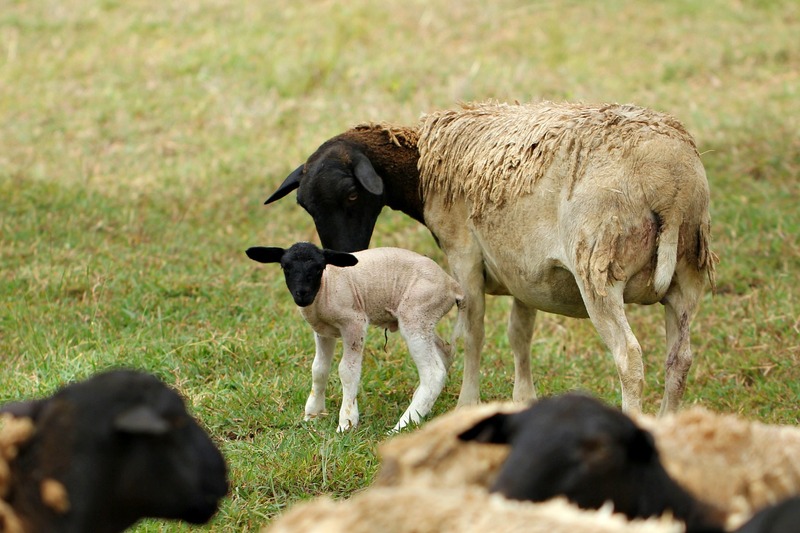 I hope mum and lamb continue to flourish! I do love your posts. Please keep them coming. Yes they are Dorpers (the black headed ones are simply Dorpers, and the white are known are White Dorpers). This ewe is a fourth generation cross so she's almost a Dorper, but not quite. Close enough thought :-) My flock is a mixture of purebreds and different crosses. Little Rocket is doing wonderfully. He's been well named as he can run so very fast and is starting to skip about the place. Thanks for sharing the photos of the newest member of the Family. Sage is so lucky to be with you and have her needs met with respect and care; I appreciate that aspect of your little farm so much.